Hydrobuilder.com has been supplying commercial hemp farms with hemp propagation equipment, hemp grow lights, and CBD harvest supplies since 2011. We are proud to be considered an authority figure in this industry, and love working with small and large scale farms. With the country wide legalization of hemp, industrial hemp farms are in a position to be more successful than ever. The question now becomes how to get the most out of your crop. Automation and optimization go hand in hand, and should always be the goals of industrial hemp farmers. Allow seeds to germinate indoors for faster yields! Have you tried allowing your hemp seeds to germinate indoors under hemp grow lights? This will result in a higher germination rate. Starting hemp indoors also allows plants to harden off before transplanting them into the ground outdoors. If you have the space for it, starting your seeds or clones indoors with grow lights is the best way to maximize space and set up a perpetual harvest. Propagating indoors before moving plants outdoors allows for more harvests per year, and a more favorable bottom line for industrial hemp farmers. 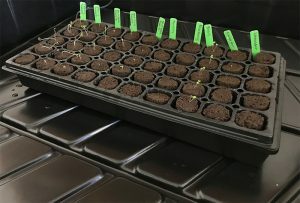 By using a propagation tray, you can mass germinate hemp seeds. When you set up a propagation system with trays and indoor grow lights, you give plants a head start on life. Fluorescent grow lights consume very low energy, making them the most viable option for industrial purposes. T5 fluorescent grow lights and CFL’s give off almost no heat, but still emit a bright enough light for starting hemp indoors. If you are looking for a more powerful grow light, you should consider MH and HPS grow lights. These lights emit a more intense light, and thus generate more heat than fluorescent counterparts. LED grow lights are the most efficient on the market. These grow lights do not emit heat, but generate a fuller spectrum, and emit a brightness comparable to HID grow lights. 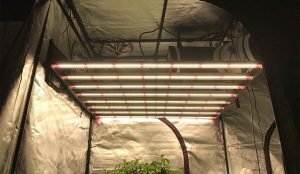 If you only need a grow light for propagation purposes, fluorescent grow lights are your best option. It is important to find a reputable supplier for your grow lights, propagation stands, and trays. When you shop at Hydrobuilder, you know you are getting quality products. We only source from the most respected of brands in the cultivation industry, and our relationships with these companies allow us to offer these products to you at the lowest cost possible. When you shop at Hydrobuilder, you not only get the best products at the lowest price. You will be provided unmatched service and help every step of the way. Hydrobuilder.com has everything you need to trim, process & extract your hemp harvest. How long does it take for hemp to grow? Hemp is ready for harvest very quickly. It will be ready for harvest in just a few short months after planting, sometimes in 60 days or less. This is one of the reasons it is becoming one of the most prominent industrial crops. In the future, we will see an even sharper increase in hemp cultivation, since it is a far more sustainable crop than the alternatives. A trimming machine cuts trimming time from weeks to hours! Any industrial hemp farm will need a professional grade trimming machine. Large scale trimming machines offer a consistent final product, with minimal human contact. Using a trimming machine will cut your trimming time from weeks to hours. 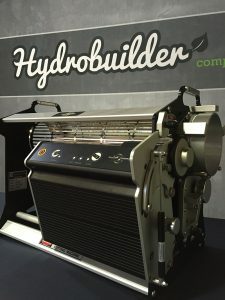 At Hydrobuilder, we carry commercial grade trimming machines from only the most well respected brands in the industry, such as CenturionPro and Twister. We are proud to offer the most competitive prices on trimming machines, but are even more proud of the service we provide you. When you shop with us, we are with you every step of the way, happy to help however we can. While some hemp varieties are grown for industrial use, other hemp varieties are grown for their CBD content. CBD is one of the most beneficial, organic healing compounds. It comes as no surprise that farms are sprouting up with their main goal being CBD production. 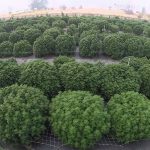 How much CBD is produced per acre of hemp? This will depend greatly on the climate, variety, and extraction method. A safe estimate is that one acre of CBD rich hemp can generate around $75,000-100,000 USD for farmers. At Hydrobuilder, we carry a variety of methods of extracting CBD oil from your hemp crop. The process of CBD extraction is incredibly complex, and we won’t bore you with the details. We will, however, inform you that we also carry distillation equipment. Rotary evaporators are a necessary component in the extraction process, and we also carry supplies for extraction. If you are looking for a fun, lucrative way to process excess plant material, you cannot go wrong with extraction. For more on extraction methods and devices, check out our full guide on extracts. Are you a commercial hemp farmer? 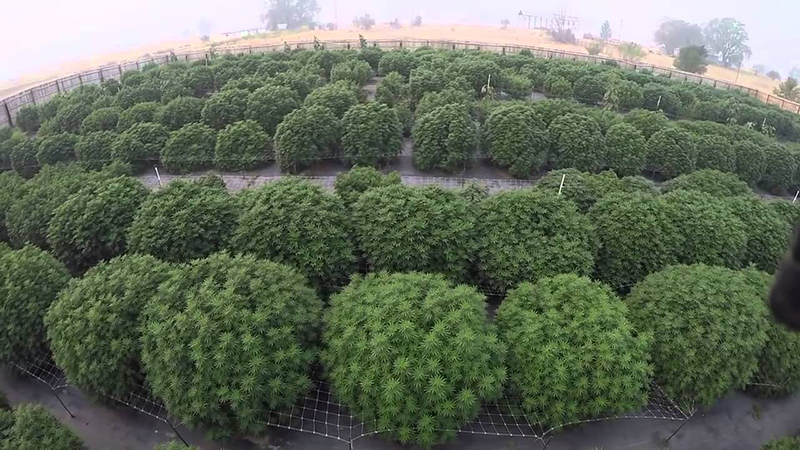 We are known as a one stop shop in the cultivation industry. We want to help you grow the highest yielding crop possible, and step one is getting the right pricing on your equipment. Whether you are shopping for grow lights, trimming machines, extraction equipment, or just gardening supplies, we have what you need. When you sign up for a commercial account, you can take advantage of special pricing. You will also have an account manager at your disposal for any questions or issues you come across. Reach out to us today at 888-815-9763 or through email about signing up for a commercial account with us! Our expert growing staff wants nothing more than to see you succeed, and we are ready to work with you to make this possible.